I’ve spoken before about my love of all things co-ordinated when it comes to makeup. I love to match my lipstick with my blusher, because I really think it helps to pull everything together and just look a lot more polished. When musing on the subject – you know you think about makeup obsessively too – I thought how aesthetically pleasing it would be to do a post dedicated to some matches that were surely made in heaven… so good are they at being matchy matchy. – The coral/pink hybrid… touched on briefly in a recent favourites post – MAC Impassioned and Stila Petunia. Both of these scream summer, to me. They are so pretty and bright and are a sure fire way to perk up your entire complexion instantly. Both products also have a similar dewy finish, which looks particularly luminous. – The peach… Y’all know I am a peachy blusher fiend. 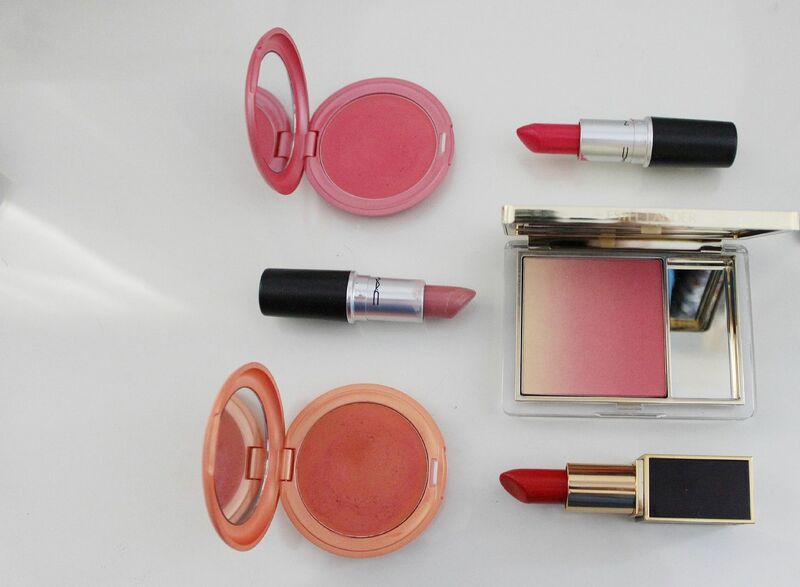 One of my top picks is undoubtedly Estee Lauder Witty Peach, and a good peach lipstick is MAC peach blossom. Both are understated and pretty natural, and definitely the easiest way to start makeup co-ordinating. – The orange… You know I had include Stila Gladiola. It looks so intimidating just sat there, but once on the skin it melts in and looks so dreamy, and incredibly flattering. I paired it with Tom Ford’s Wild Ginger, which goes with everything really, but looks especially flawless when paired with Gladiola.